Home Culture The Mime is a Butoh Dancer? The Mime is a Butoh Dancer? The other day Rafa was looking at the toys on the shelf in my office. I picked up the toy of a Mime and noted that Mimes and Butoh dancers both wear white faces. 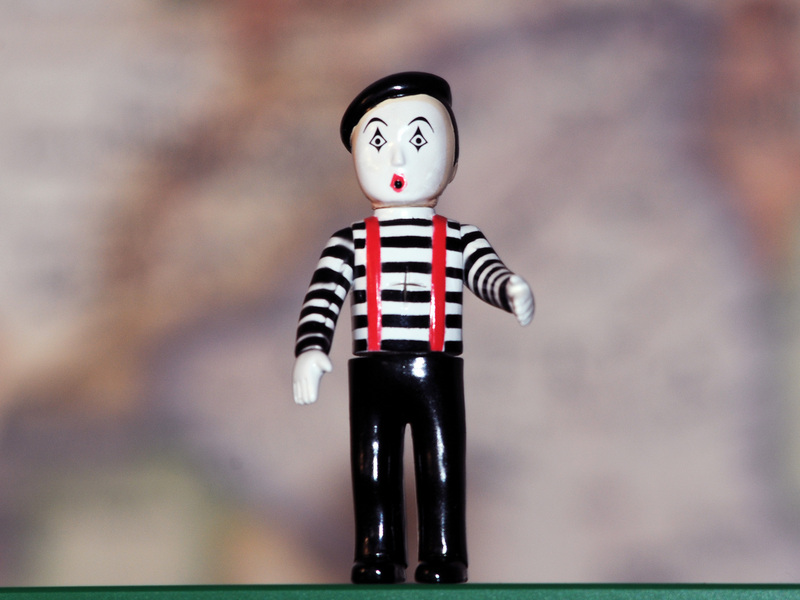 Then I realized that Rafa just happened to be wearing a striped shirt that matched the toy mime. 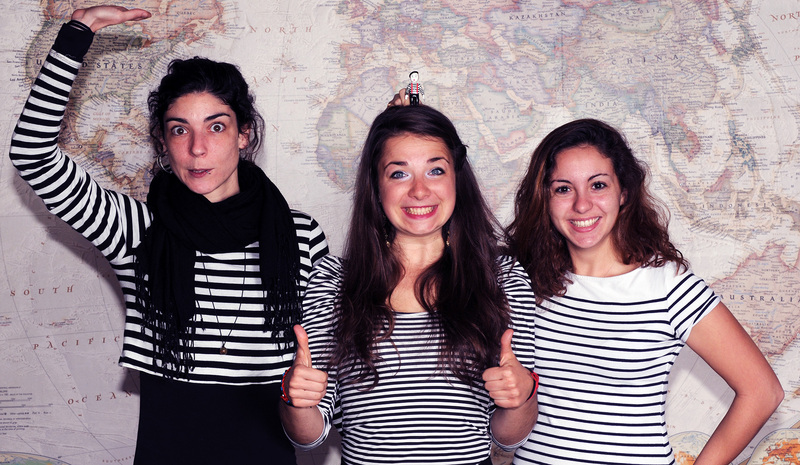 Today Terézia & Emilie both walked out wearing striped shirts and so I asked Rafa to put on hers so we could take this photo. In addition to being a Butoh Dancer, an Actor, and a Nurse, Rafa told me that she’d also studied Mime in her early 20’s. She said it was amazing how demanding mime was. She studied with this 60-something Polish guy who’d kick their butts every day and move circles around them, then get totally drunk on Polish vodka every night, and then get up the next day and beat them again. Around here Mime is so often parodied that I’d never really considered how intense, physical, and demanding it is, or that it might have more in common with Butoh than just a white face.